I understand that based on their tertiary structure, intrinsic proteins have hydrophobic non-polar R-groups on their surface and that they 'interact with the hydrophobic core of the cell membrane to keep them in place'. But how does the hydrophobicity of both the protein and the cell membrane prevent the protein from moving? Proteins can move around the membrane. Most proteins do move within the membrane. The membrane is a liquid crystal and has fluid behaviour. Specifically, this is due to the membrane being in a gel-state. This gel state allows phase behaviour which means that the protein is able to move around on the surface. This results in an effect that is often referred to as the fluid mosaic model. Proteins tend not to move out of the membrane. The protein doesn't leave the membrane as a result of the transmembrane helix being very hydrophobic. This hydrophobicity and the hydrophobicity of the lipid tails means that they self-associate. A better way of describing it is that they fiercely dissociate from the water. A molecular dynamics simulation showed that even in simulations the membrane will readily self-assemble as a result of the hydrophobicity. This is achieved by a few properties of the TMH sequence. There is a large amount of hydrophobic residues like leucine. At either end of the helix are large aromatic residues called the aromatic belt. Further is the electrostatic satisfaction offered by Gunnar von Heijne's famous positive inside rule and the recently identified negative-outside rule present in helices with evolutionary pressure to optimise anchorage. Cymer et al. published a study showing the free energies associated with each part of the transmembrane protein helix (figure below). The overall ΔG for a transmembrane helix in the membrane is ~-12kcal mol−1. This means that the association of the helix in the membrane is typically spontaneous. No other answer has mentioned this so I created an account just to say this. Some membrane proteins do not move. This is because they are fixed in that position in the membrane due to the cytoskeleton. Erythrocytes are a good example of this. The main protein that is immobilised in erythrocyte membrane is Band 4.1 protein, and its immobilised by Spectrin. Spectrin forms a tetramer(2 dimers together) that acts like a chain/rope connecting membrane proteins and locking them in place. Spectrin connects to the Band 4.1 protein (also to actin, but less important). It is important for some membrane proteins not to move. Otherwise the cell will lose its function in some cases(like intestinal epithelial cells), imagine if SGLUT-1 (glucose + galactose transporter) moves from the luminal side(facing lumen) to the basolateral side(the other side)... what do you think happens to its ability to take in glucose from intestinal lumen? Finally as a bonus, some membrane proteins are also fixed in the plasma membrane in plants (does not move around) by cell wall. There are two types of proteins that are present in a membrane, because you have not been specific about which type of protein you are talking about I will consider that you are talking about Integral membrane proteins. 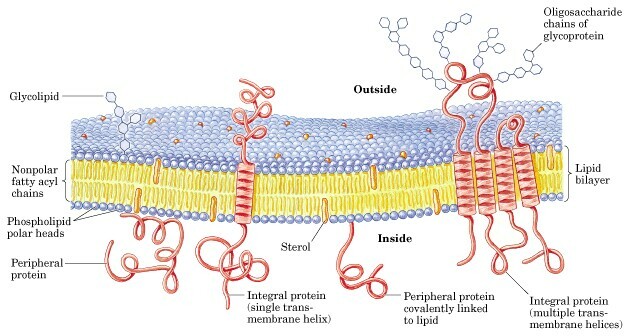 For more clarity I will begin by explaining to you what are these proteins present in the membrane. As I said there are two types of proteins 1. Integral membrane proteins - these are proteins that are present inside the membrane. Peripheral membrane proteins - These are the proteins present outside the membrane on either side linked through weak electrostatic interactions with the lipids or the integral membrane proteins. You have not been clear about which type of protein you are talking about so I assume that you are talking about Integral proteins. You stated in a nutshell that protein is hydrophilic so it should move out of the membrane as the membrane is hydrophobic. ( correct me if I am wrong here). You are highly mistaken here. Yes there are R groups present on the protein but when the protein undergoes transitions to secondary and tertiary structure these hydrophilic R groups move to the innermost in the protein structure and hydrophobic groups are outside facing the lipid sea, so they can establish hydrophobic interactions with the lipids. Integral proteins Do not move out of the membrane because of the strong hydrophobic interactions. But they do move inside the membrane. As the membrane structure is fluid mosaic. Imagine of proteins as floating in a sea of lipids. https://www.ncbi.nlm.nih.gov/books/NBK26878/ 1 = Principles of Biochemistry Lehninger. = http://cbc.arizona.edu/classes/bioc462/462a/NOTES/LIPIDS/Membranes.html for the image. Not the answer you're looking for? 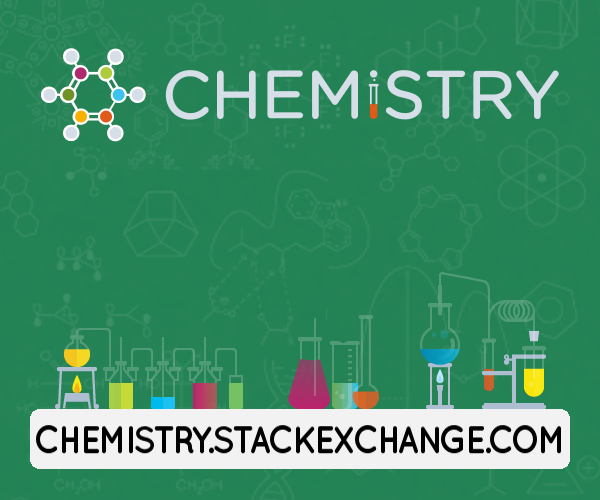 Browse other questions tagged biochemistry proteins biophysics cell-membrane thermodynamics or ask your own question. Why are aminoglycoside antibiotics particularly effective for aerobic gram negative bacteria? What change would you expect in phospholipid orientation of the membrane if the enviornment were mostly heptane?